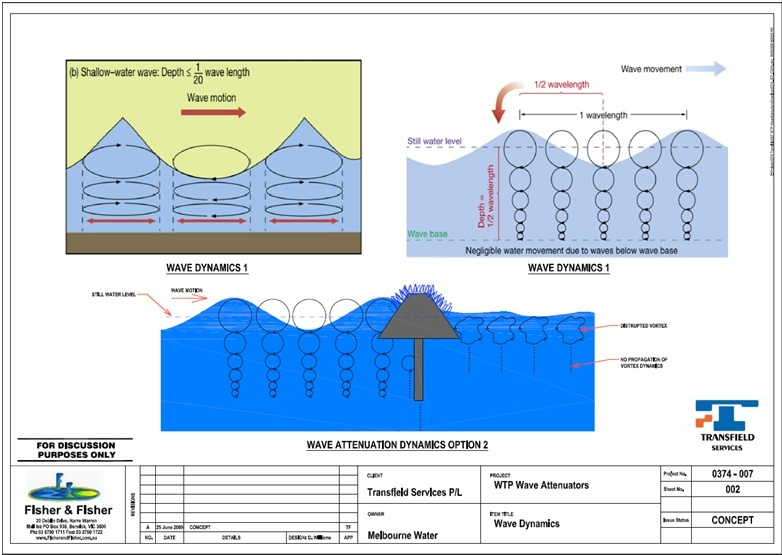 This was an investigative study to develop concepts to improve the quality of the treated water entering Melbourne Water’s recycled water supply system at the Western Treatment Plant, Werribee. 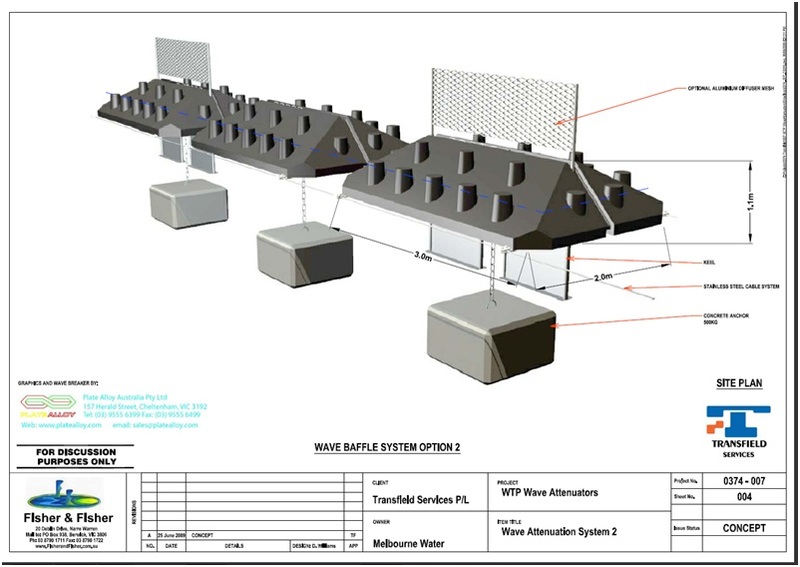 The work was to be directed to the ponds supplying the recycled water system, that is; Pond 10 in Lagoon system 55E and Pond 10 in the Lagoon System 25W. On some occasions the readings for both Suspended Solids and Turbidity exceeded the EPA classification limits for “Dual Pipe Water Recycling Guidelines”. Fisher & Fisher identified the mechanisms that may cause the elevations of both T and SS during high wind events; namely the development of large waves and associated orbital velocities that re-suspend the bottom sediments. Fisher & Fisher also outlined proposed methodologies to reduce or prevent the phenomenon occurring to the extent it does. 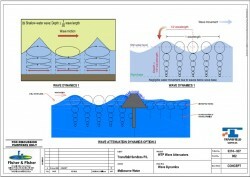 The approach taken in the design was to either dampen or attenuate the wave development or break the vortex or orbit development, before it impinged on the bottom of the water bodies and had the opportunity to re-suspend the sediments. An additional concept included putting in place a zone (or multiple zones) whereby turbulence was dampened and suspended sediments given an opportunity to re-settle.